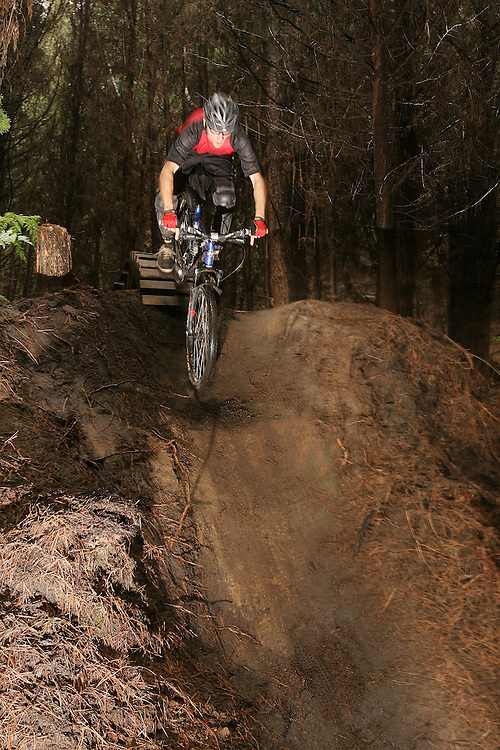 James Madelin drops into the steep exit chute on a North Shore style rollercoaster structure, on the trail 'Double Down' in the trail network of the Whakarewarewa forest (known as the Redwoods) in Rotorua, New Zealand. 26Jan07. Photo James Madelin. Copyright: © james madelin 2007..all unauthorised copying and reproduction strictly prohibited.